Music is often said to be good for the soul. But a special choir is going one step further and using singing to improve physical symptoms in people with Parkinson’s. 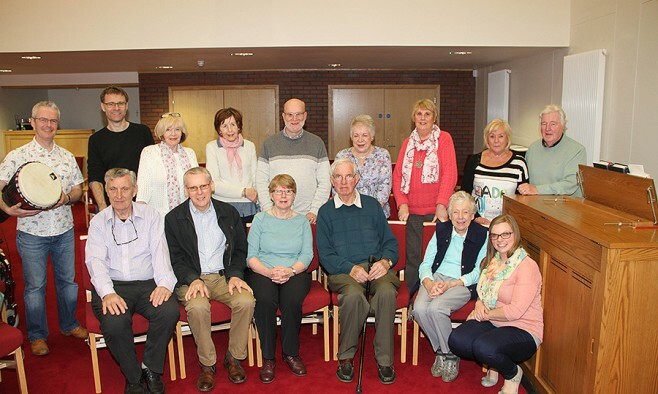 The choir – made up of people with Parkinson’s, their carers and families – was started in April and meets every Saturday in Belfast, Northern Island. Run by a group of volunteers from Parkinson’s UK, it’s open to anyone regardless of singing experience – and its members are finding the effects very beneficial. Jennifer Spence, who sings in the choir with her husband, has noticed a big difference in her husband’s ability to cope with his condition. “There is a lot of recent research suggesting that the physical act of singing can have similar effects to more traditional voice treatment, which aims to increase vocal loudness, intonation and voice quality,” added Rebecca.